Han Sum’s post reminded me of some entertainment circle gossip that I read awhile back concerning the actors of Journey to the West. The adaption in question is the one aired by CCTV in 1986 and 2000. Why the two years? Allow me to make a quick tangent before getting to the juicy gossip. Any adaption of the Four Classics (Dreams of the Red Chamber, Journey to the West, Romance of Three Kingdoms, Water Margins) connotes not only massive audience and critical interest, but also huge investments of time and money. To give you an example, the 1994 adaption of Romance of Three Kingdoms had a team of 1000 people, 400,000 civilian participants (including divisions of the People’s Liberation Army) and five directors, took four years to complete, and is CCTV’s most expensive television production up to date. For Journey to the West, they had to stop at 25 episodes due to technological limitations (some stories were omitted) and lack of funding. Some more interesting tidbits before I move on to the meat of the story. Although there are three actors for Tang Seng, do not misinterpret and assume that Tang Seng is a particularly difficult or complicated role. Not at all. In fact, the role of Sun Wu Kong is by far the most difficult to play due to the nature of the character. He is not human, not deity, not god. 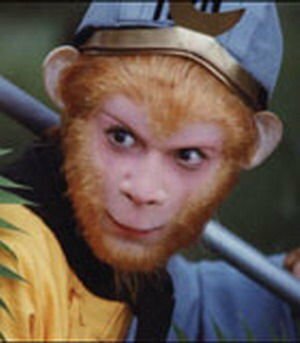 Sun Wu Kong is a being with supernatural powers, a trickster with sharp instincts, and a monkey with pride and compassion. Perhaps the most famous actor for Sun Wu Kong, Liu Xiao Ling Tong grew up in a family of Sun Wu Kong actors. 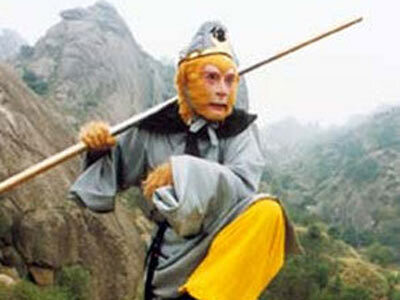 Influenced by his famous great-grandfather, his acclaimed father, and his sick brother, Liu Xiao Ling Tong gained international fame for his signature role as the Monkey King. To him, it is not a role, but a lifestyle. Actors have yet to eclipse his expertise and success as Sun Wu Kong. The moment you’ve all been waiting for has arrived! 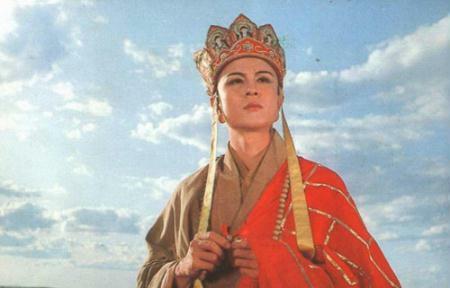 Xu Shaohua, the second actor for the role of Tang Seng, had backed out of filming in order to attend Arts School. Before he quit, he left a lasting impression of a monk who was steadfast in his goal, yet also very human in his struggle. In the famous mini story of the Women’s Kingdom, there is a very emotional scene between Tang Seng and the Queen. Although Tang Seng had coldly rejected all past female advances by humans and demons alike, he seems to falter when the Queen asks for his hand in marriage. Whether it’s her noble goal to change the policies of her country or her beautiful features, the Queen definitely caused Tang Seng’s heart to waver…at least according to the 1986 adaption. At the twenty year reunion for the castmembers, the actress for the Queen, Zhu Lin, confessed that she only had eyes for her ‘Yu Di Ge Ge’ (Tang Seng’s nickname), a reference to actor Xu Shaohua. Pretty soon, an interview was published under the headline: “Journey to the West’s Queen Remained Single for Twenty Years for Tang Seng”. In the article, it reveals that Zhu Lin fell in love on set with Xu Shaohua, who had married three days before filming began. Though the details of the ‘romance’ are hazy, the two ultimately parted ways. This has been interpreted as a mirror reflection to the story. The Queen allows Tang Seng to continue on his quest for the greater good. In a sense, Zhu Lin remains constant in her love, while Xu Shaohua reminds faithful to his marriage. The theme of sacrifice and responsibility exists in both stories. Like all rumors in the entertainment circle, this one has been denied by the people involved. However, many people still believe in the touching story, perhaps because such responsibility and faithfulness are not often seen in the rich and famous (also in us commoners as well). Whether the report is true or not, it casts a rosy, romantic glow around the pair’s interaction (both on-screen and off-screen). It’s something to think about in the midst of all the violence, greed, and selfishness in the rest of the series. Re-watching the scenes of Tang Seng and the Queen, I find myself inclined to believe in the report. There is something very genuine about the scenes. Either Zhu Lin and Xu Shaohua are amazing actors, or they share a beautiful story. This entry was posted in News and tagged Journey to the West, Liu Xiao Ling Tong, Xu Shaohua, Zhu Lin. Bookmark the permalink.